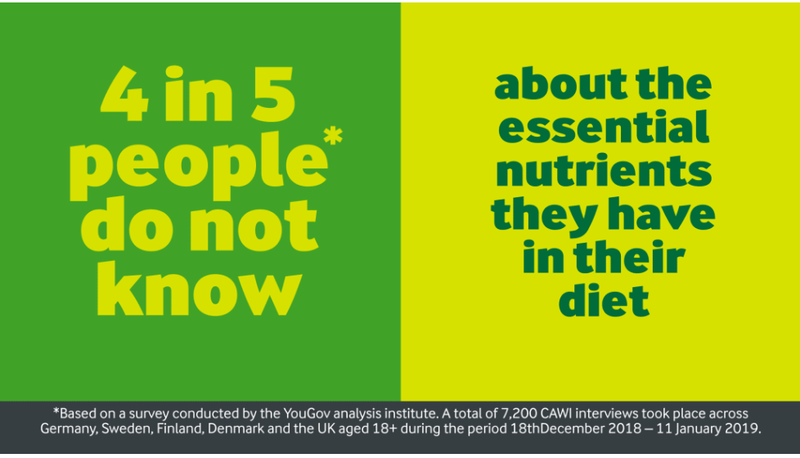 29 Jan 2019 --- About 4 out of 5 people across Northern Europe are not aware of the nutrients they consume in their daily diet, new Arla Foods research has revealed. Forty percent of consumers admitted they felt they lacked some essential nutrients and roughly 50 percent did not understand the importance of dairy as a source of vitamins and minerals. The survey was conducted by the YouGov analysis institute. A total of 7,200 computer-assisted web interviews (CAWI) took place across Germany, Sweden, Finland, Denmark and the UK, with respondents aged 18+ during the period of 18 December 2018 and 11 January 2019. The findings also revealed that 25 percent of people may skip a meal, despite feeling hungry, and 37 percent of this group cited saving time as the reason. Sixty percent of the respondents did not recognize dairy products as sources of vitamins and minerals such as calcium, protein and B vitamins. Despite 51 percent of the respondents claiming to be “healthy eaters,” the study found that there is still a lot of ground to be covered when it comes to understanding what we consume and why. The study highlights the need to understand what the food we consume contains in order to shop and subsequently eat healthier, the dairy ingredients company notes. “It’s clear from the research that there is still a lot to educate consumers on when it comes to nutrition. The demand to live healthier is constantly increasing, yet we can only do this when we truly understand our food and the impact that food has on our body,” says Hanne Søndergaard, Chief Marketing Officer at Arla Foods. Click to EnlargeSøndergaard says that food literacy needs to be improved so people can compose meals which are rich and varied in essential nutrients. “Consumers are constantly demanding new experiences from their food and new trends are emerging all the time. Our vision is firmly rooted in bringing the nutritional benefits of milk into concepts that meet these demands and ultimately help consumers understand how dairy can be part of a balanced and healthy lifestyle,” Søndergaard notes. Food confusion is prevalent across Europe and the survey uncovered that 2 out of 3 Brits believe that whole milk contains more than 10 percent fat when it actually contains under 4 percent, while semi-skimmed milk contains even lower levels of about 2 percent. Three-quarters of Swedes do not recognize dairy products as a protein source, while only 40 percent of overall respondents recognize that cow’s milk is high in protein. Roughly one in three people in Denmark have eliminated a specific food from their diet, and overall 34 percent of respondents have completely cut out foods they believe are not part of a healthy diet. The food most respondents (40 percent) choose to cut out is sugar, as they believe that omitting it will make them healthier. 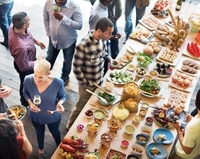 In Germany, 25 percent of consumers eat one main meal a day and in Sweden and Denmark, more than 40 percent of people admitted to skipping lunch, while overall 50 percent of total respondents say they skip it, due to hectic schedules. “As a leading dairy company, we seek to develop improved products and new initiatives that can inspire better health in everyday life. This means that we have both a responsibility and an opportunity to make a difference to global diet-related health challenges,” concludes Søndergaard. The company has released a number of products that are touted as promoting health, ranging from sports nutrition to infant nutrition and even products that claim to control blood sugar.